Looking for something new and delicious to serve at your next brunch get together with girlfriends? 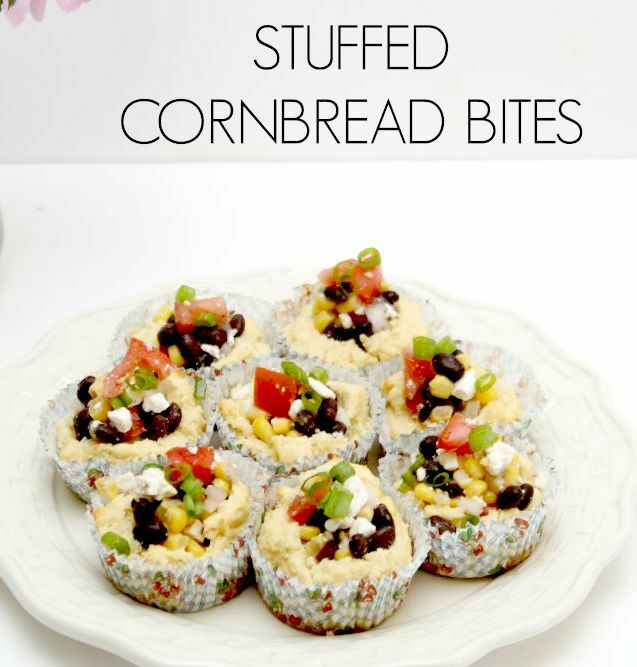 I have the perfect idea for you, Stuffed Cornbread Bites. 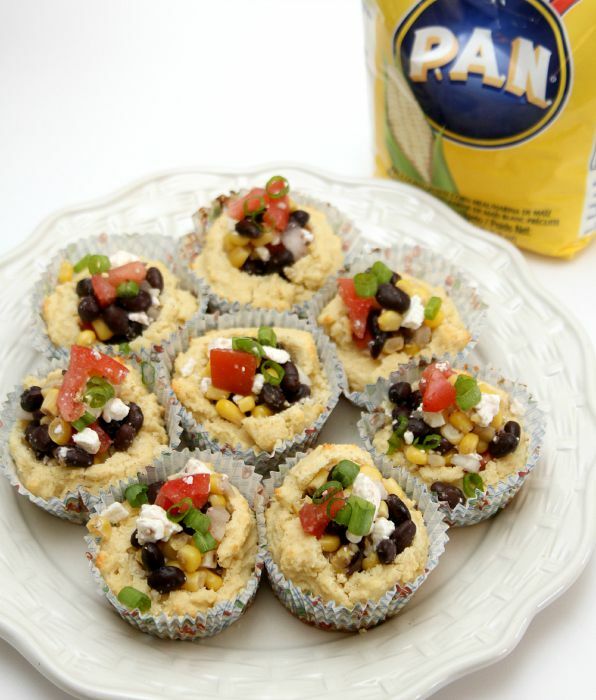 This recipe combines the deliciousness of cornbread with the goodness of a black bean and corn salsa. It is quick and easy to make and looks pretty on the table. My girlfriends know that while the food will be delicious and the wine ever flowing everything else will be pretty simple. As much as I’d like to decorate and make pretty table displays I simply don’t have the time or energy. My house will be mostly clean (just keepin’ it honest, I’m always jealous of those bloggers that show photos of their perfect home and stunning tablescapes, I need to accept that it’s never going to happen here). However, there will be great conversations and, at the end of the day, that’s all that really matters…..to reconnect with my friends. Traveling as much as I do we can go months without seeing one another so brunch at my house has become standard when I’m home. Don’t think you have to have the “perfect” everything before you invite friends over, just pick up the phone and call. In a pinch you can meet at a park and pack a picnic. This recipe travels well and can be served at room temperature. 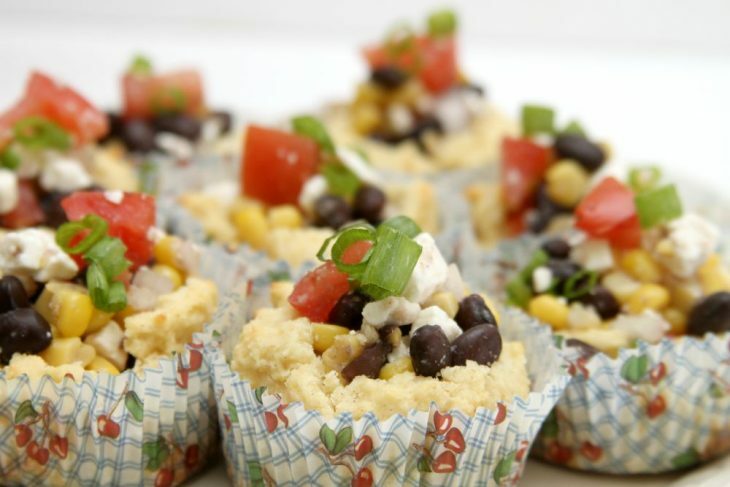 What I love most about making stuffed cornbread bites is that the filling is easy to switch up. Short on time, open a can of chili, drain of the liquid and use the remaining ingredients to fill the cornbread. Prefer something a little sweeter? Spoon jam into the centers. It is such a versatile recipe that it shows up quite often on my brunch table. I used P.A.N. Cornmeal to make the corn muffins. P.A.N. is the number one cornmeal in South America, but it’s finally making its way into kitchens across the USA. Cornmeal is a staple food around the world, which means I could host a ethnic food night at my house and probably cook my way around the world using cornmeal. Be sure to visit the P.A.N. Cornmeal tumblr page for a little culinary exploration and recipe ideas at http://panrecipes.tumblr.com. Ok, let me show you how easy it is to make. 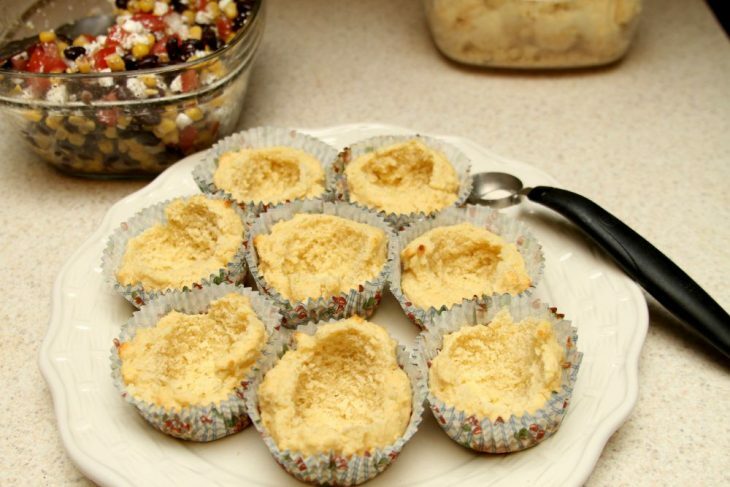 Gather together all the ingredients you’ll need for the cornbread muffins. Mix the dry ingredients together in a large bowl and the wet ingredients together in a smaller bowl and then combine the two together. 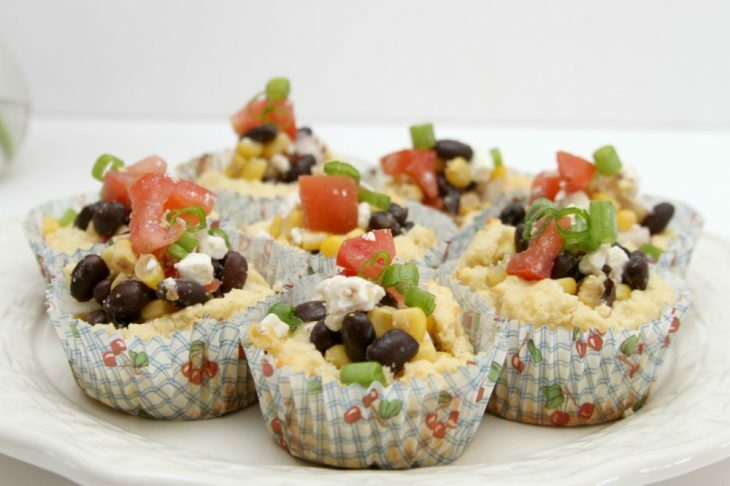 Place cupcake liners in a muffin tin and then add cornbread mixture. Cups should be about 2/3rds full the recipe will make 12 cornbread muffins. After the muffins are baked and cooled remove the centers and fill with ingredients of choice. That’s it. Easy. Peasy. In a large bowl combine the P.A.N. 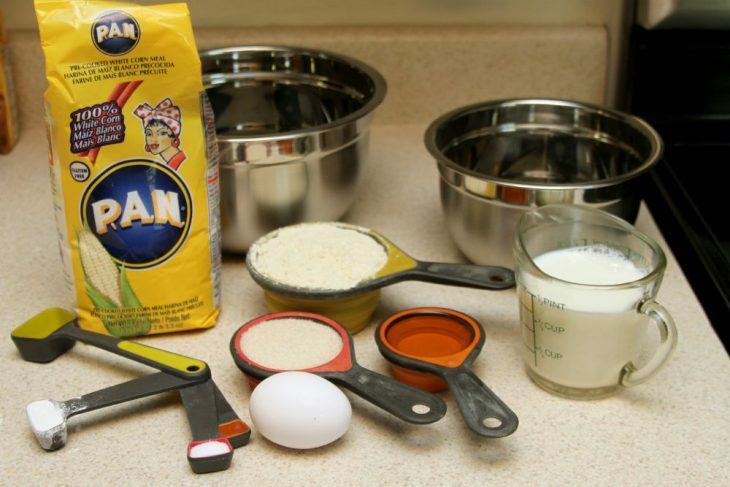 cornmeal, flour, sugar, baking powder and salt. Mix well. 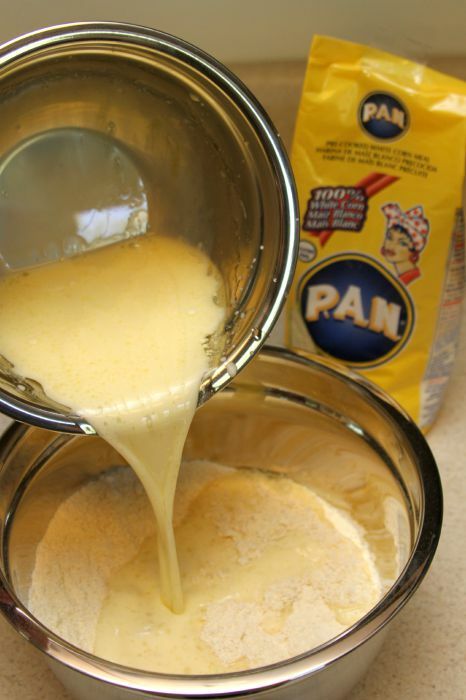 In a small bowl mix together the egg, oil and milk. Gradually add the wet ingredients to the dry stirring well. Line a cupcake pan with 12 cupcake liners. Fill cupcake wells 2/3rds full. 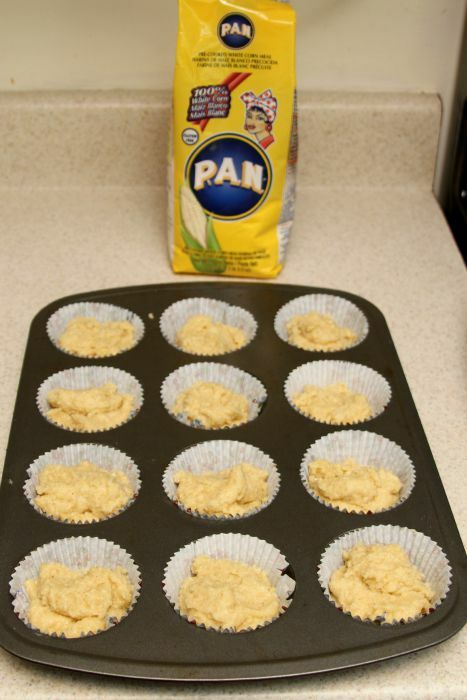 Place in oven and bake 15 to 20 minutes or until a toothpick inserted in the center of a muffin comes out clean. Let cool. Using a spoon or melon baller remove the centers of the muffin. Fill with salsa. Serve at room temperature.